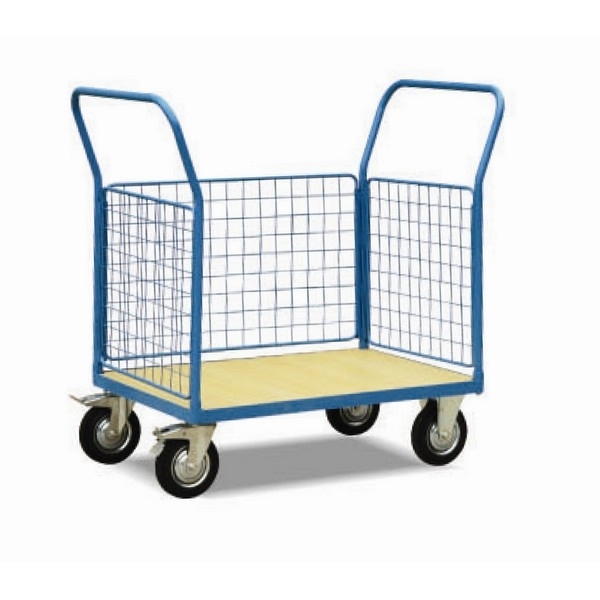 The Warrior Mesh Sided Platform Trucks range has been designed, developed and built to give long service with minimum maintenance required and assist with all manner of manual handling within industry and commerce. A sound long term investment! 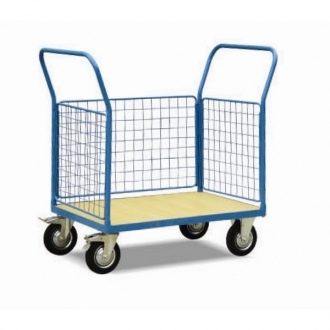 Warrior 500kg Heavy Duty Mesh Side Platform Truck 3 Full Sides has three full mesh sides and offers a 500 kg maximum capacity, is mounted on two swivel braked castors and two fixed load wheels. Two platform sizes available.